SeaWorld San Diego last year unveiled its new Orca Encounter, which replaced the more theatrical Shamu shows that were phased out in San Diego, Calif.
SeaWorld has been involved with a variety of scandals, including the death of Tilikum, which was one of the main focuses for the 2013 documentary, "Blackfish." While several other companies such as the Miami Dolphins and Mattel have ended their affiliation with SeaWorld, AAA still offers promotions and discounts with the marine and zoological theme park. These promotions are the topic of a heated protest taking shape tomorrow in Center City. With a crying, chained inflatable orca in tow, PETA protesters will gather outside the AAA office at 18th and Market street at noon on Thursday to draw attention to what they call major cruelties suffered by marine mammals at SeaWorld. The park has been encapsulated with controversy for years, from an eight-year old being bitten by a dolphin in 2012 to multiple animal deaths, including a 2-year old beluga whale in 2015. According to PETA, SeaWorld parks still carry 21 orcas, ranging in age from 3 to 52 years old. PETA has been fighting against SeaWorld for years, citing unhealthy living conditions for the animals. A spokesman, David Perle, said that seven marine mammals died at SeaWorld's three parks last year, alone. "SeaWorld will continue to focus on inspiring people across the globe to learn about and protect wild animals and habitats worldwide. It's unfortunate that PETA wastes money on petty stunts that are a distraction from important conservation work that has a real impact on protecting animals." PETA claimed that the animals’ lifespans drop to nine years old, but SeaWorld claims the lifespan is the same as it would be in the wild -- 46 years old. 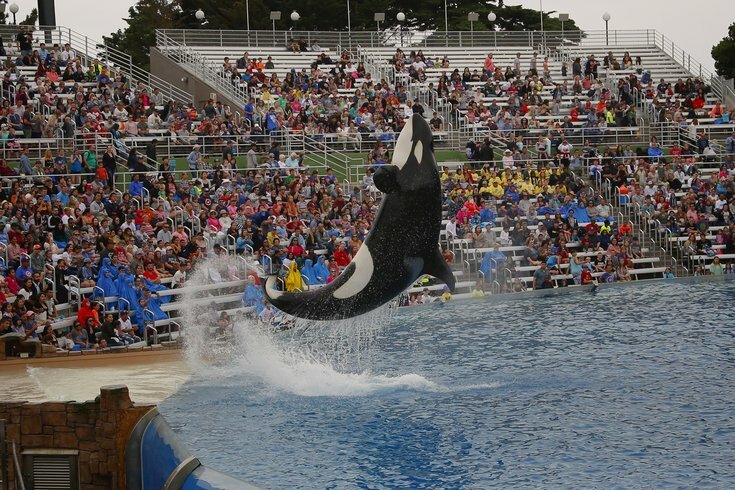 Despite their efforts to refute the claims, SeaWorld’s attendance dropped considerably in the following years. While AAA offers a wide variety of discounts on theme parks across the country, PETA is urging AAA to get rid of their support for SeaWorld and stop offering discounts to AAA members.